I decided I would not make you wait 4 days to see the whole collection lol so here they all are! These were sent to me by Color Club for review. 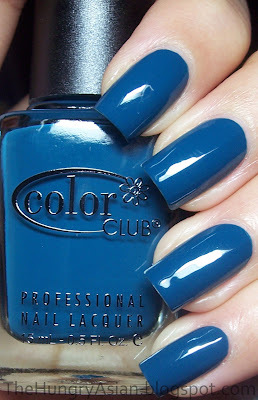 High Society, 3 coats with 1 coat Seche Vite. Mushroomy! The french tip designs always trip me up! I can never center it right. I like their new labels! Best Dressed List 3 coats with 1 coat Out The Door (I know omg!). A nice soft kind of beige color. It looked kind of reddish on me. Who Are You Wearing? 4 coats with 1 coat Seche Vite. Pale soft white. Er, is it even proper to describe white as pale?! Charity Ball 2 coats with 1 coat Seche Vite. I don't know, this made me think of Thanksgiving. Some kind of spiced cake or something lol. She's Sooo Glam 3 coats with 1 Seche Vite. This was pretty bright pink. I'm pretty sure this is the first time I have ever said this about any pink, but I think this looked wrong with my skintone! I can't describe it, it somehow looked strangely artificial. Rebel Debutante 3 coats with 1 coat Seche Vite. Bright green. I had a difficult time capturing the color on this one, it's lighter than shown here. This one also did not suit my skintone. It gave me alien hands. 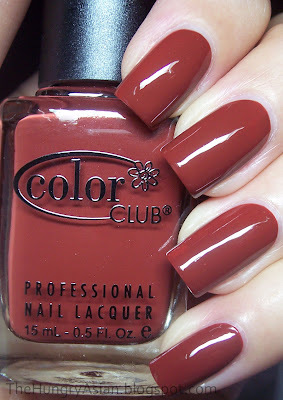 Gossip Column 2 coats with 1 coat Seche Vite. A blue-green teal. My favorite out of this collection, I have been wearing this for a few days now no chips with barely visible tipwear. Ms. Socialite 2 coats with 1 coat Seche Vite. A nice rich purple. Uptown Girl 3 coats with 1 coat Seche Vite. A dusty lilac. I really liked this one as well, very delicate looking. Most of these were on the watery side for me, some of them were a little more work to apply but nothing major. The 2 darker ones were nice and opaque and went on perfectly in 2 coats. It is available to purchase now, I checked VNS and Transdesign really quickly and saw them there! Those all look so beautiful, thank you for sharing your swatches! Thanks for these swatches, there are some beautiful shades ! I love them all, wow. Especially on your nails. So pretty. Sigh. 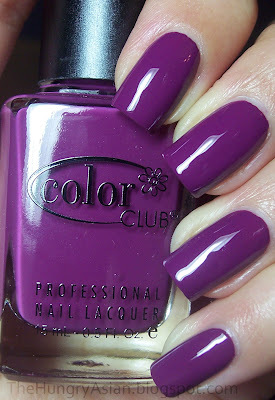 I love this collection, I am really getting into Color Club lately. I must say I'm not crazy about the green and the blue. I think these light mushroomy colors look great on you. I like the white and the lilac best I think, but everything looks good on your nails! lovely swatches, thank you so much! Your nails look gorgeous btw! these are really beautiful, I love Ms. Socialite! It so funny how completly different they look on you! I love them on you, not so much on me. Aww, I like all of these on you! However, I think that She's Sooo Glam looks more purpley-pink on you than it did on me. That's weird! 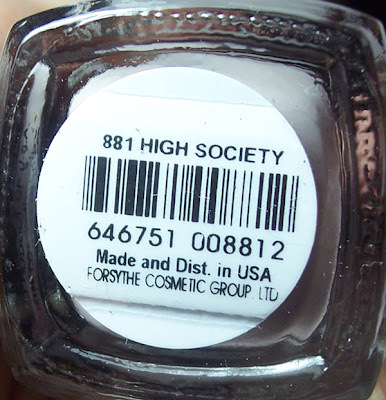 High society looks exactly the same as the grey nail polish I've just swatched. My favorite out of the lot is Ms. Socialite. Gorgeous. Love the last four. Alien hands, I like that one. Nah, I don't care for that with your skintone. Gossip Column and Ms. Socialite look really beautiful on you. Now your making me want them all! oh my... those are some gorgeous colours, I especially like the High Society, Rebel Debutante,Gossip Column and Ms. Socialite. I want!